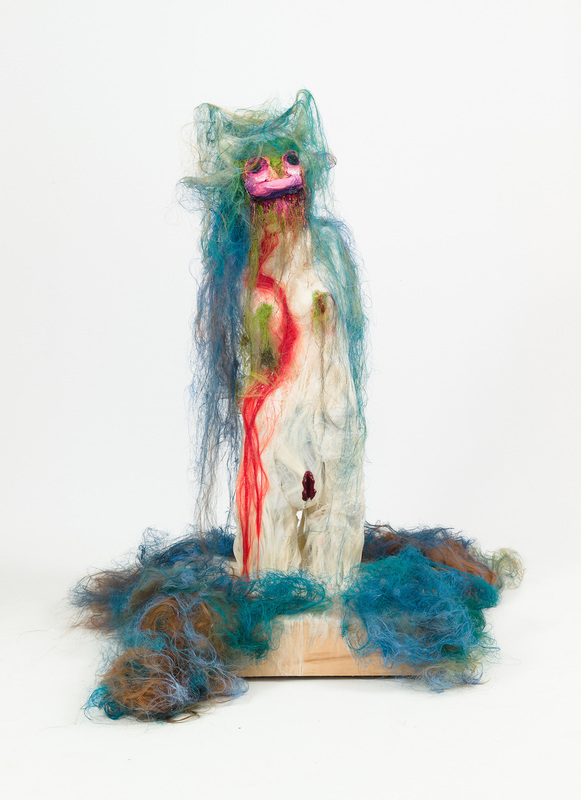 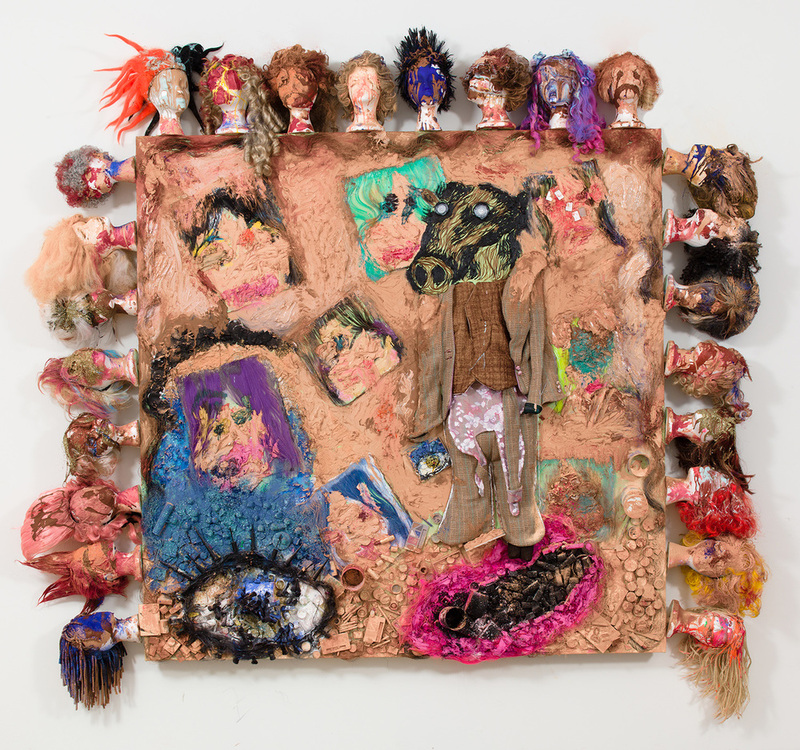 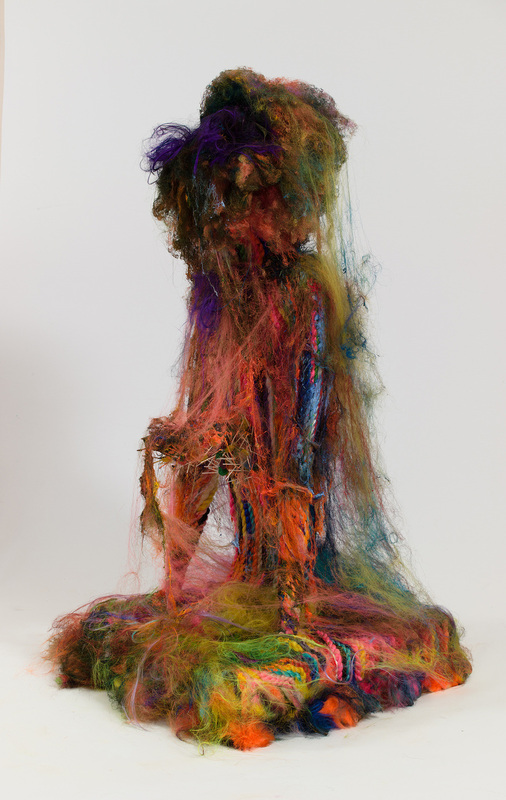 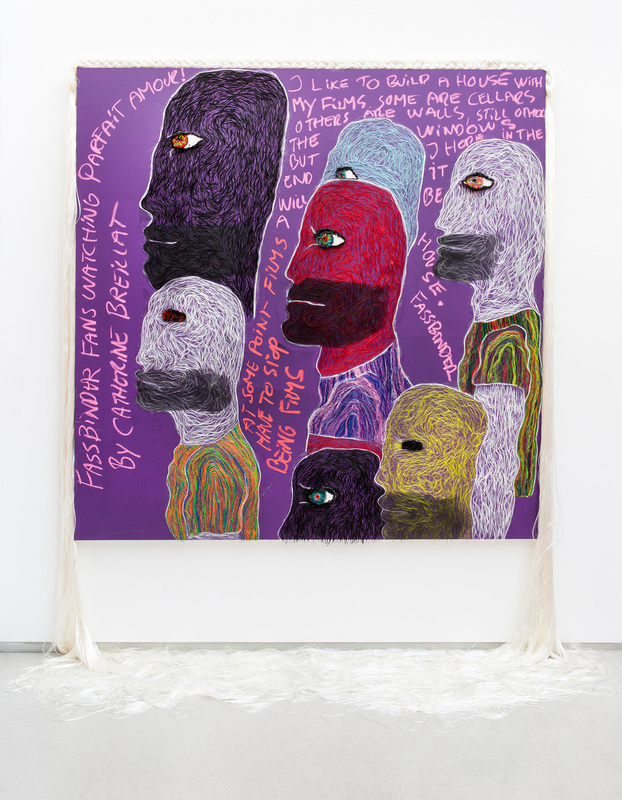 Entitled The Casual Pleasure of Disappointment, the exhibition was a collaborative effort with Norwegian painter, Bjarne Melgaard — and included doll-like figures made out of hair, mixed with paint, makeup, and various other materials. 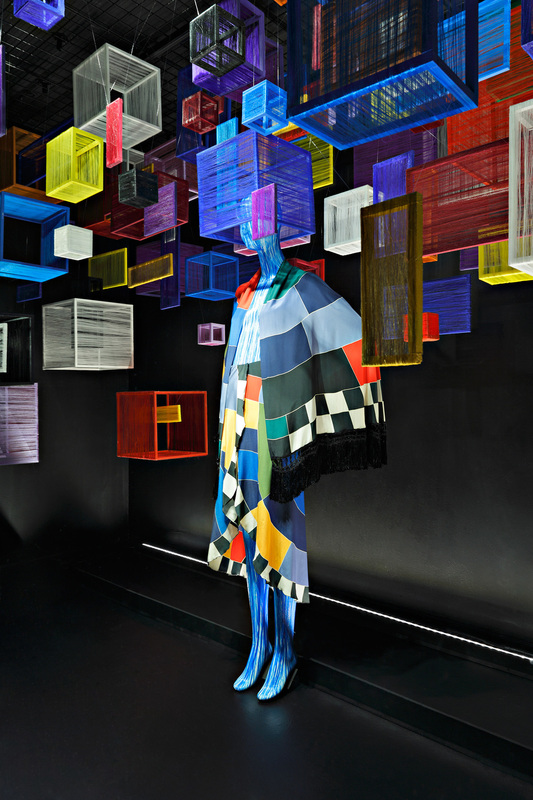 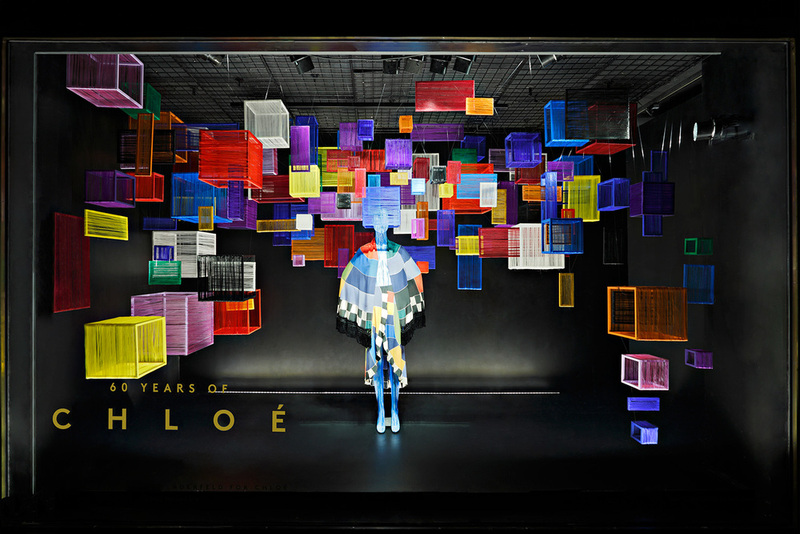 A periodic collaboration with Barney’s, which has featured two separate window installations for their Madison Avenue location: the first being in 2011, where he worked in concert with Lady Gaga to create “Gaga’s Boudoir” — a marked experience, through which Recine was able to explore the limitless transformative qualities of his craft in constructing a room made entirely out of hair — and then the second taking place in March, 2013 to commemorate the 60th anniversary of Chloé. 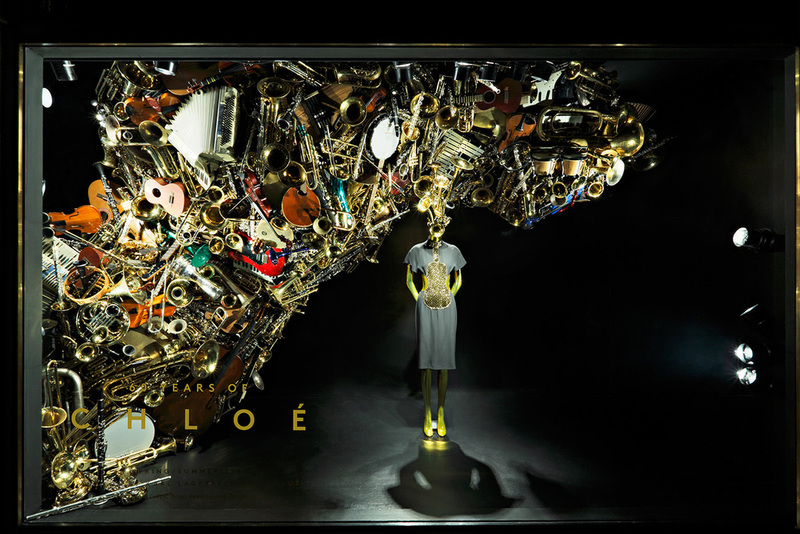 The latter display showcased Recine’s ability to treat hair as, perhaps, the most veritable of fabrics, wherein he modeled sculpture around five iconic dresses by former Chloé designer, Karl Lagerfeld. 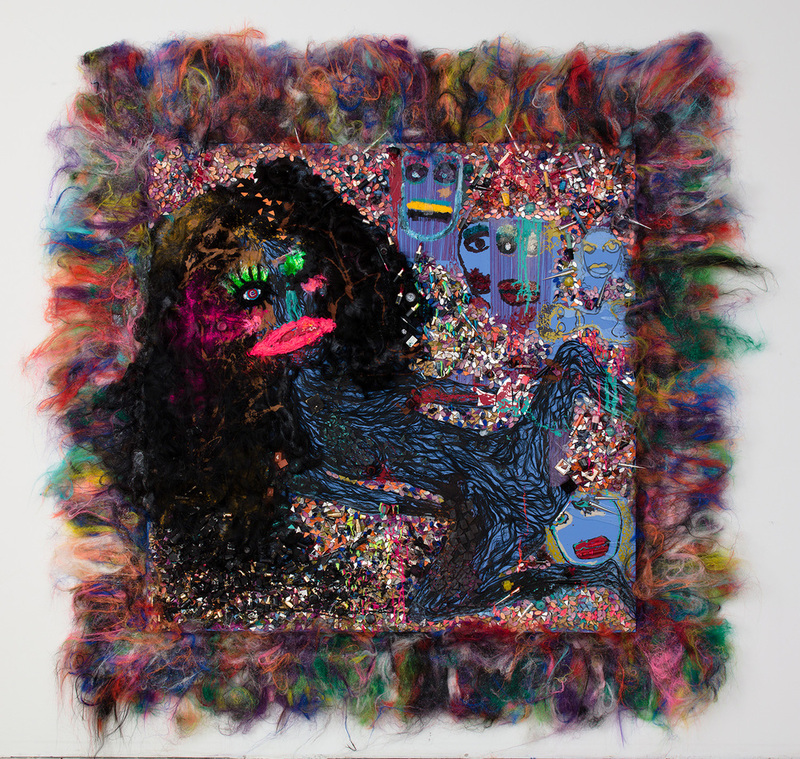 Recine has collaborated with fellow fine artist and close friend Shannon Plumb on numerous projects over the past 15 years. 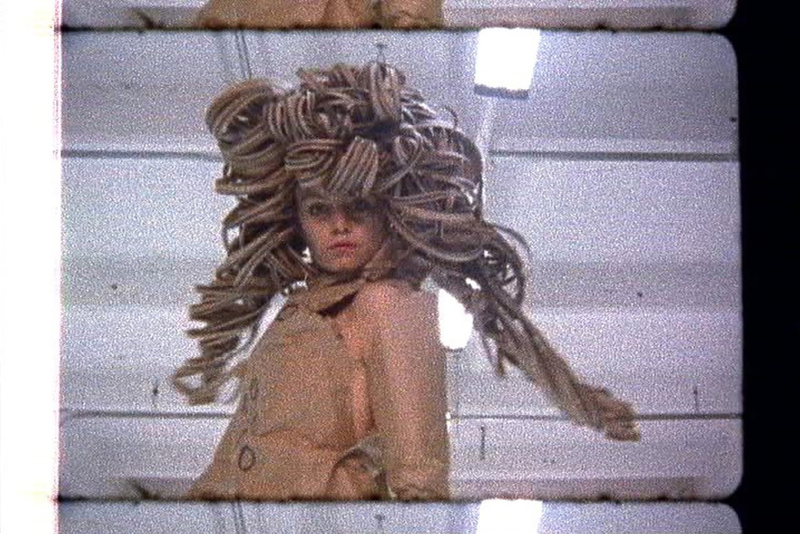 For her exhibition, entitled Paper Collection, Recine created elaborate paper wigs and outrageous hairstyles that, along with paper dresses designed by Plumb, accompanied the film as its sculptural element.